Whether you need to have your windshield repaired, your broken car window replaced or accessories for your vehicle, at Speedy Glass®, you’ll get unmatched expertise. If glass damage is included in your insurance policy, you might not have to spend a dime for a windshield repair. We’ll even handle the claiming process for you! We offer windshield repair services within an hour so that you don’t waste any of your precious time. 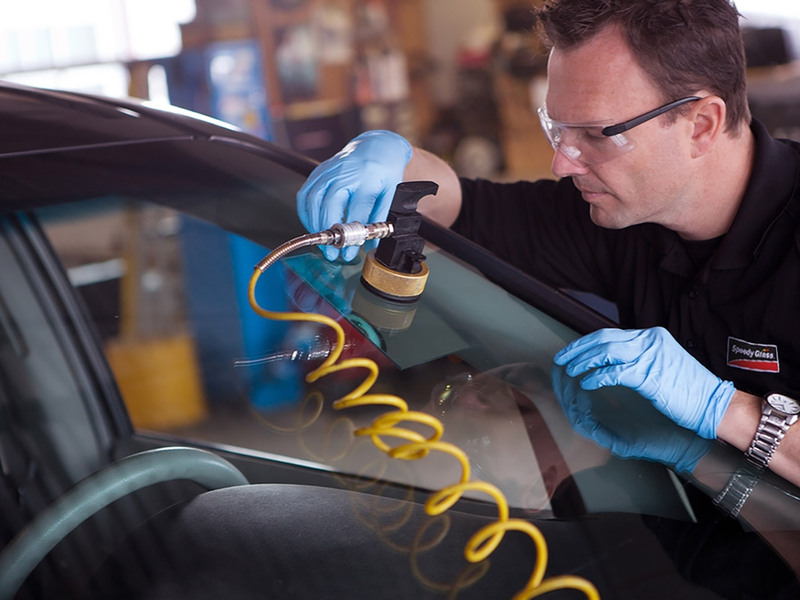 To make things even easier, we also offer same day windshield replacement service. In need of a windshield repair or replacement? If the damage on your windshield is fixable, we’ll go to great lengths to repair it to avoid having it replaced. 30% of your vehicle's structural strength is the windshield alone. Our main concern is keeping you safe. Get in touch with us. From the very start in 1934, Speedy Glass®’s main focus has always been to deliver service, expertise and product quality, resulting in millions of windshields repaired and replaced in our service centres across the country. While our technology never ceased to evolve, we’ve made sure to keep one thing as sound as possible: our concern for the safety of the person behind the windshield. We thrive on knowing our customers are satisfied and safe on the road. John was excellent in his professionalism and friendliness and very capable. Initial contact orderly and accurate. Strong follow up thanks to Jesse. Clearly communicated cost and expectations. Job done on time.